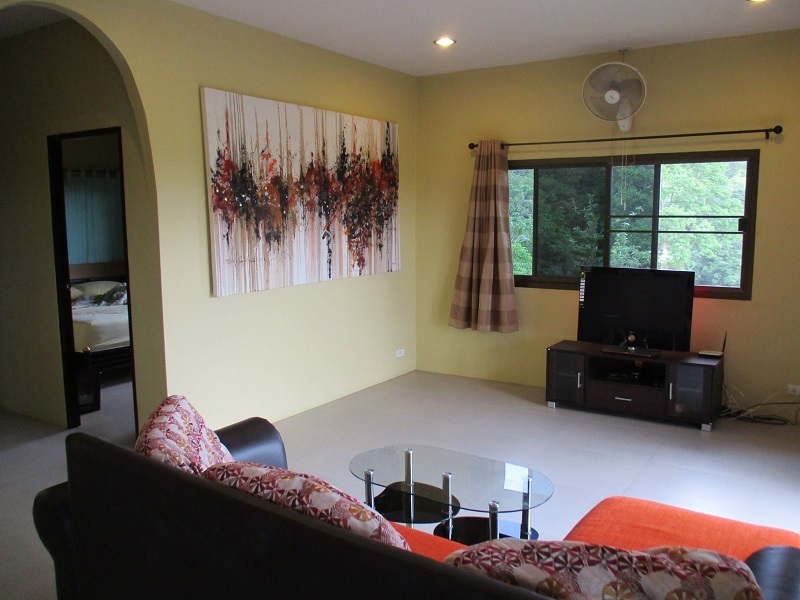 This great value family villa is located on the hillside behind Northern Khlong Nin beach. 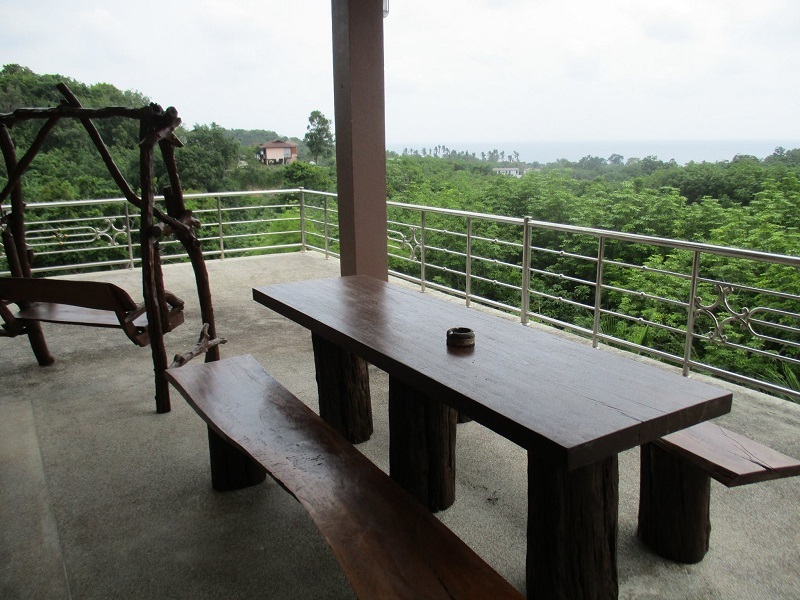 The villa is back from the main coast road and in a quiet, natural and tropical setting. 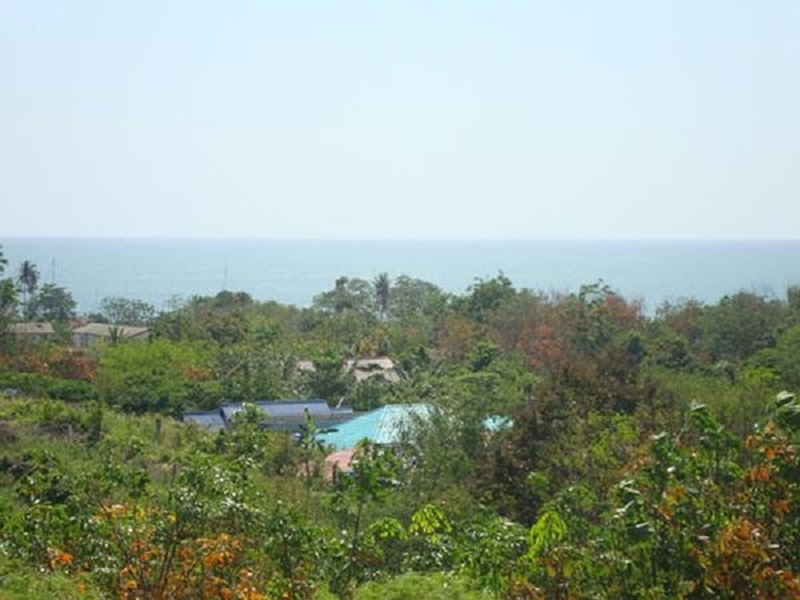 Sea view are available from the balconies; and the excellent Khlong Nin Beach is a mere 600m walk from the villa to the sand. 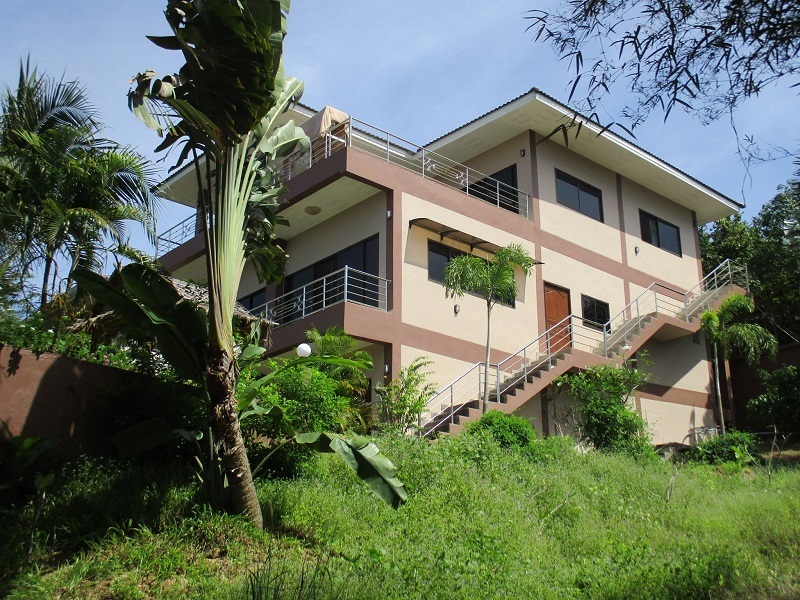 The villa itself is across 3 floors, has 4 bedrooms and 5 bathrooms including a granny flat and has approx. 300 sqm of living space. It occupies a slightly sloping hillside plot of approx. 400 sqm. 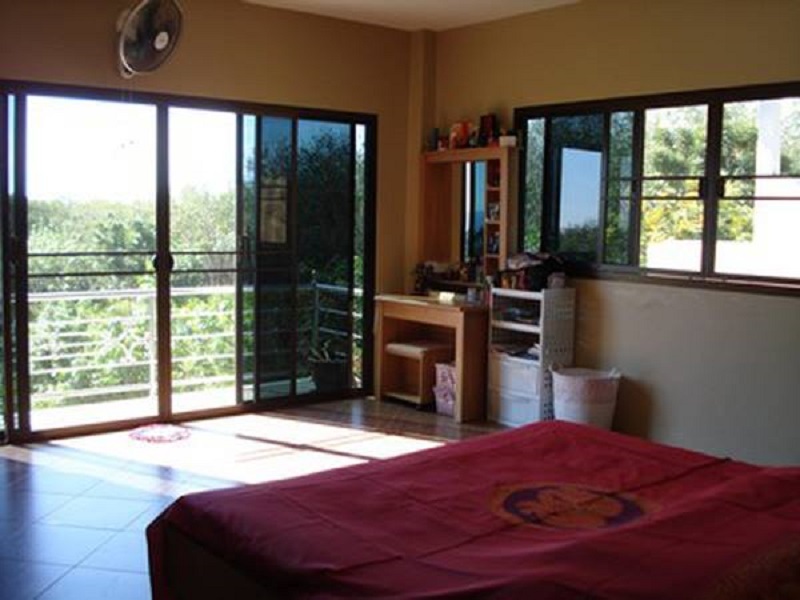 The ground floor consists of a fully enclosed garage plus the self-contained apartment. 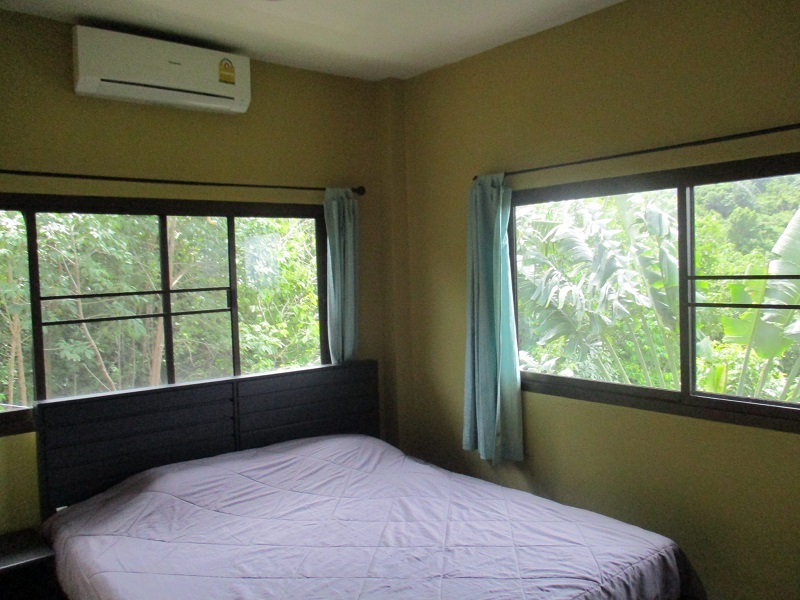 Upstairs on the second floor you will find two air-conditioned bedrooms both with en-suite bathrooms. 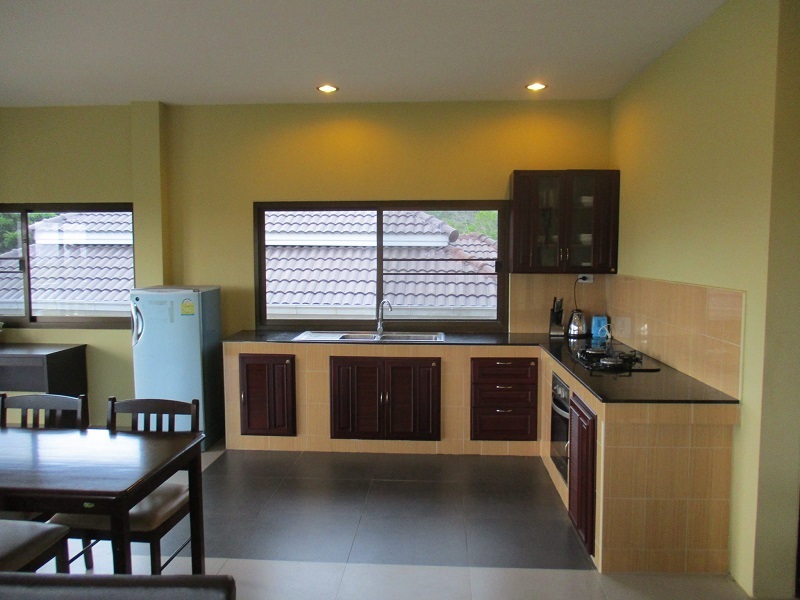 A fully equipped, Western open-plan kitchen leads to the living/dining area, which opens out to a large balcony. 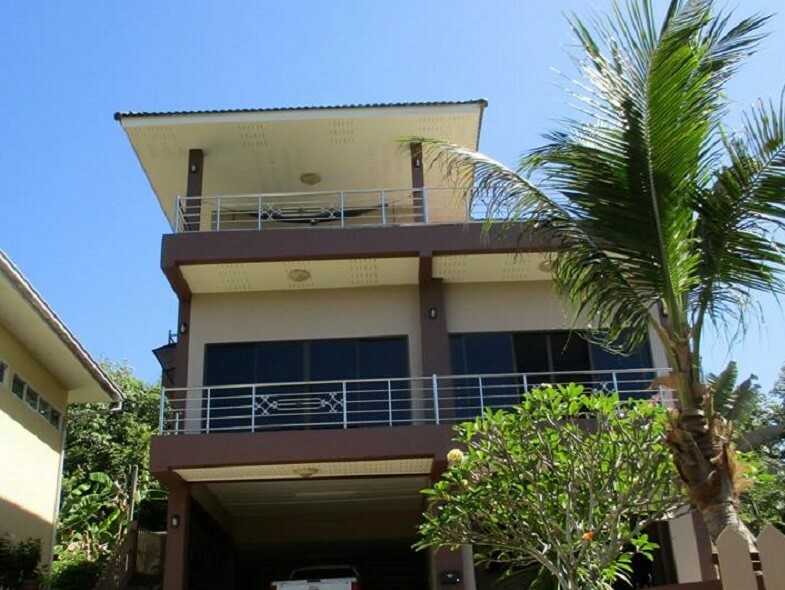 The top (3rd) floor has a further two air-conditioned bedrooms, one additional bathroom, a further Western kitchen and additional living room as well as a huge balcony to enjoy the great Khlong Nin sea view! 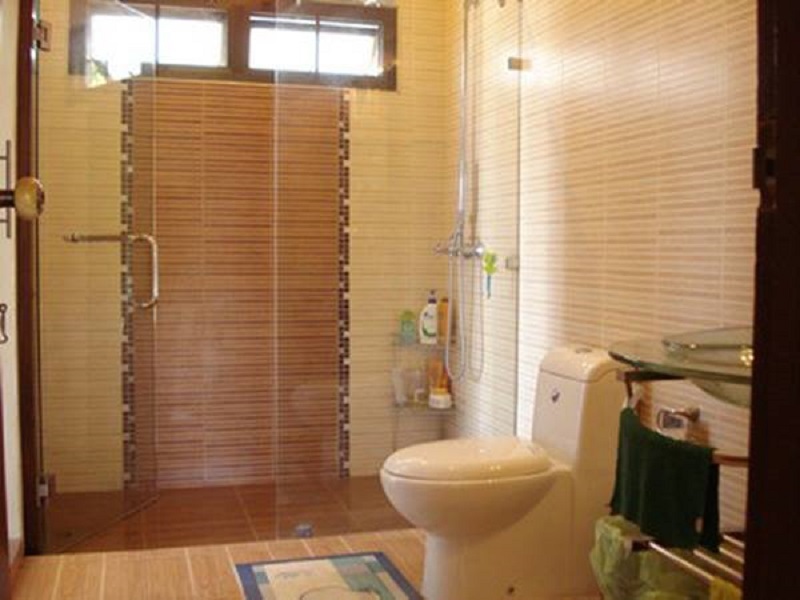 The property has been built to Western standards using quality materials. Although not tested on any of the online booking sites, this could be an opportunity to run the villa as a rental business. The second and third floors can easily be rented out separately as individual apartments to make the options more flexible. The house is sold fully furnished and ready to move in. 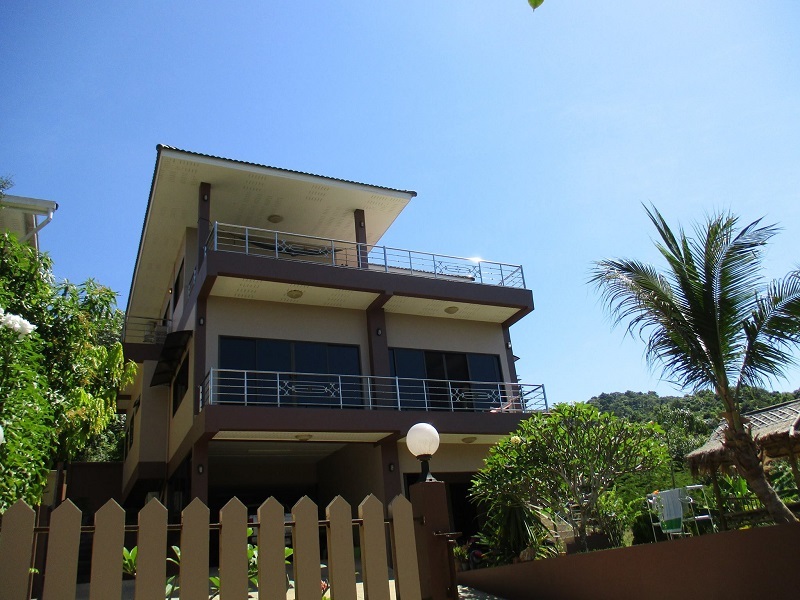 This is a great value property; the selling price is just 7.8 Million Thai Baht.